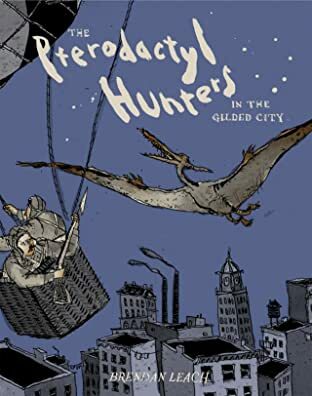 PTERODACTYL HUNTERS is a story of sibling rivalry and family tradition in a rapidly changing world: a version of 1904 New York where generations of working-class hot-air-balloonists take to the skies each night to defend their city from a dwindling population of pterodactyls. In this town, heroic hunter Eamon Sullivan dominates the headlines, while his brother Declan, a nightwatchman, tires of looking on. As the last pterodactyl and its trackers circle each other above four-story tenements, brick smokestacks, and wooden watchtowers, a face-to-face showdown may prove to be the end for all of them. 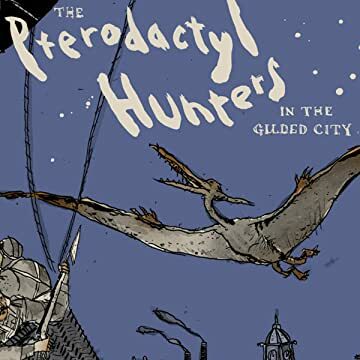 The Pterodactyl Hunters (in the Gilded City) received a prestigious Xeric Award in 2010 and was included in Houghton Mifflin's Best American Comics of 2011.